An easy to make chicken chili with Mexican influences. Since chicken was on sale lately, I'd cooked up quite a bit. Then I saw this recipe, and I knew I wanted to try it. We, or at least I, am generally a fan of Mexican flavors, and this Chicken Taco Chili was no exception. I'd gotten some free taco seasoning, but you could easily make your own. I used about 1-2 tablespoons of red pepper flakes, and that amount was about right for me, but again, it's something you can easily adjust to suit your preferences. 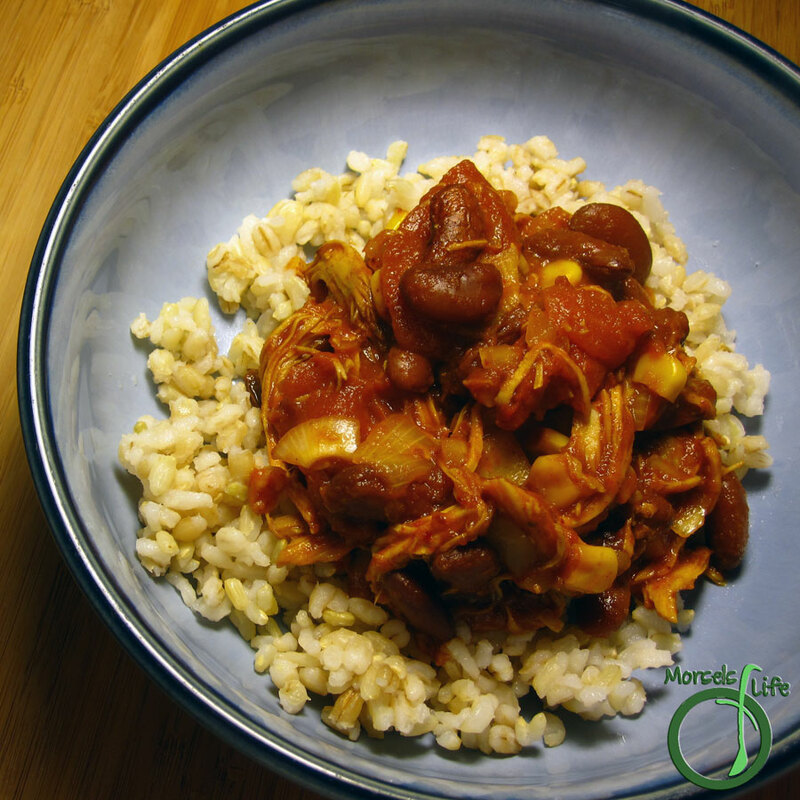 Give this very easy Chicken Taco Chili a try and see how you like it! What's your favorite chicken dish? Combine all materials, and simmer until desired consistency reached. Stir occasionally.